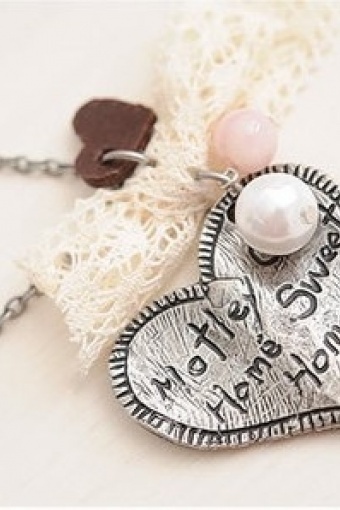 Home sweet home necklace from Paris with Love! There is no place like home, why not show it to the world with this lovely ingraved heart necklace! With white lace, pearl and pink heart details heart and necklace in silvermetal (nickelfree).